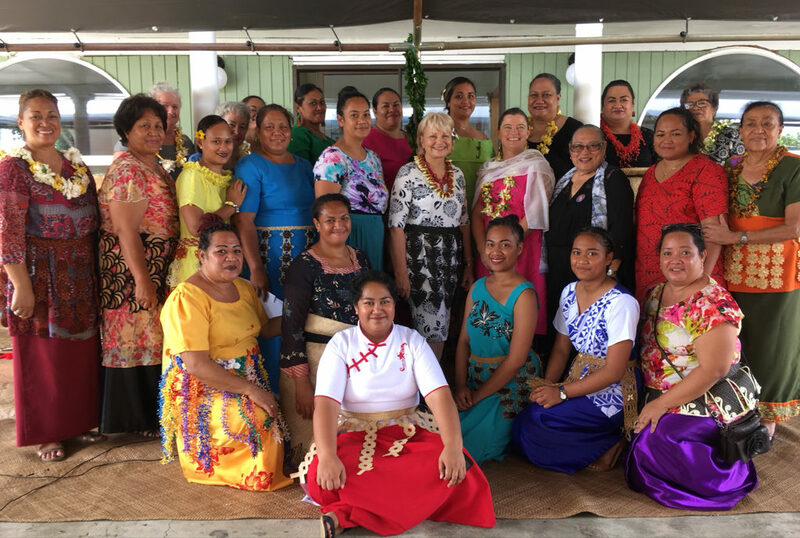 On 5 December 2018, nine female participants of a pilot economic empowerment project of Tonga National Centre for Women and Children (TNCWC) received certificates of completion from Honourable Dr Sharman Stone, Australia’s Ambassador for Women and Girls. 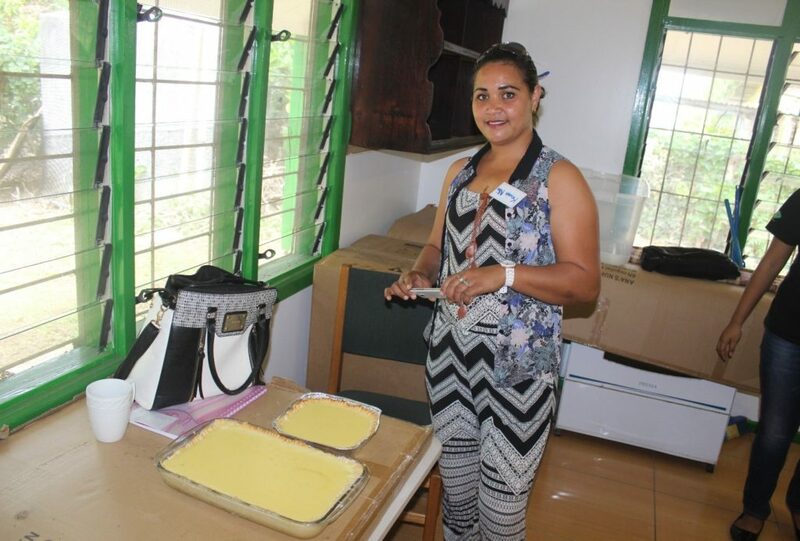 Between September and December 2018, these women completed six training programs, conducted in partnership with the ANZ bank, Tonga Skills program and the Ministry of Agriculture, Fisheries and Forestry. The training sessions focused on financial literacy, cooking, sewing, screen printing, product design and health and wellbeing. Honourable Dr Sharman Stone with the graduates and staff of TCNWC and the Australian High Commission in Tonga. Photo credit: DFAT. ‘The project will benefit women economically and build their capacities towards income generating at the micro-level. It is anticipated that their self-esteem and morale will be boosted with the newly obtained or strengthened knowledge and skill. A common objective is for every little girl to have the same life opportunities that of a little boy. I thank you for committing your lives towards making the world and Tonga a better place,’ were some of the remarks made by the Honourable Dr Stone. During the certificate ceremony, Honourable Dr Stone also underscored the importance of hard work, encouraging the women in attendance to value what they had achieved and continue to strive for excellence and self-improvement. After the certificate ceremony, she also viewed the handicraft work done by the participants of the project. Exhibited items included sewn dresses, handmade earrings and flowers made from local products as well as printed fabrics. Honourable Dr Sharman Stone viewing the printed fabrics produced by the women. Photo credit: DFAT. As a result of this pilot project, women are already seeing a change in their lives. One of these women is Kesaia Niu, who after completing a cooking training, started to cook and sell roti parcels with the support of her family. Ms Niu lives with her husband, eight children and extended family. Previously, her family’s sole source of income were wooden carvings her husband would make. After the training, Ms Niu cooked and sold 100 roti parcels, resulting in TOP$150 profit per day. This was an exciting return on her family’s collective work, both financially as well as emotionally. As she describes it, she has high hopes for the future because the journey is not just a business venture but a family business. Kesaia Niu showcasing pies she baked. Photo credit: TNCWC. 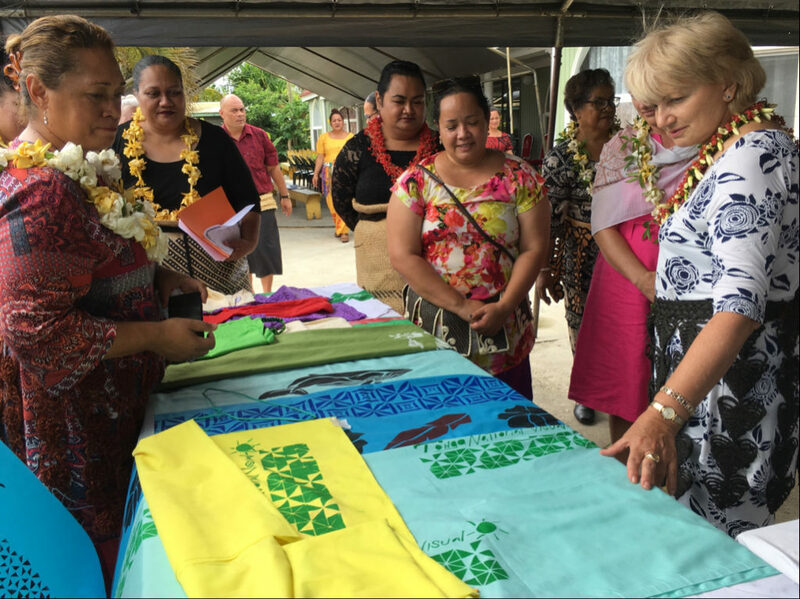 The pilot project is part of a 20-month funding agreement through Pacific Women Shaping Pacific Development, aimed to ensure women and girls have access to and control over expanded economic opportunities and helping them to make strategic life choices.